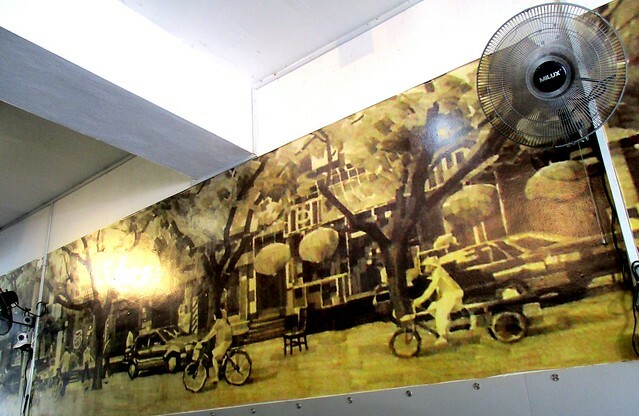 Street of memories… – …STILL CRAZY AFTER ALL THESE YEARS! 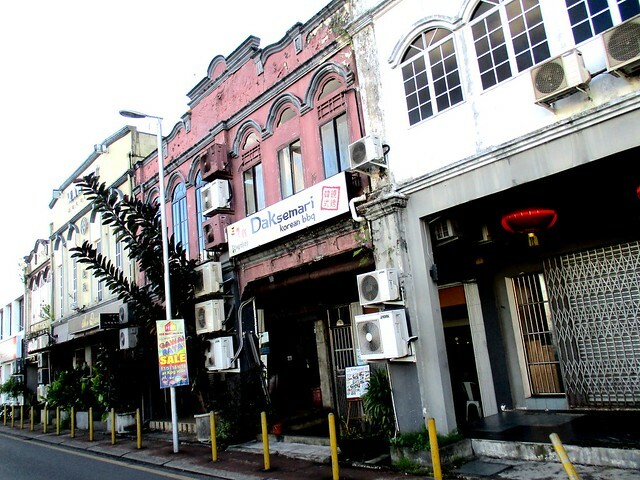 …a few doors away from where my father’s shop (No. 8) was. 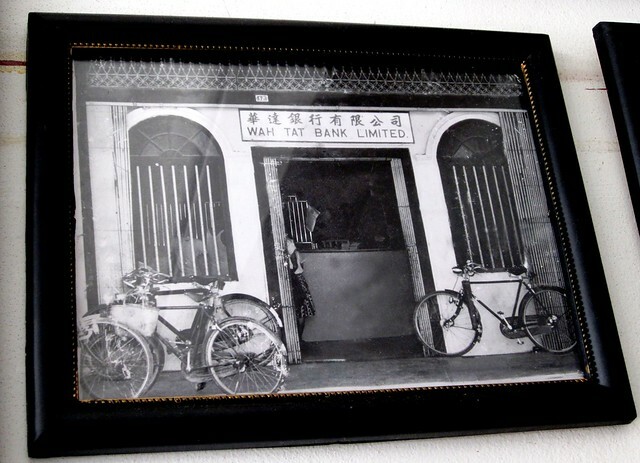 Initially, my father was sharing with his father, my grandfather, who had his own business at the time and his shop had the same name as this coffee shop that I went to check out that day. …so of course, I was intrigued and kept on wanting to drop by to see why it was thus named and finally, I did. …and yes, it was good. I did try the rice and I thought it was much nicer than many around here where one might as well be eating plain rice and would not be able to tell the difference. …and she liked it. I must say that it had a lot more ingredients than many around here for that same price or sometimes, even more. …and the rice was quite lemak, not lemak enough to get me all excited but a lot more lemak than many that I had had before including the one at the Malay/Muslim stall at that coffee shop round the corner. The sambal was great, a little spicy and the chicken curry was all right, a little sweet but all right. I’ve heard mummy-bloggers and friends blogging or talking about it but I really did not know what exactly it was. All I knew was the other ABC, the air batu campur. …to share and even though there weren’t all that many things inside – just quite a lot of chicken and potatoes, some tomatoes and bits of Bombay onion, we all agreed that it was really very nicely done and we all loved it very much. I sure would not mind ordering it should we happen to drop by here again. Incidentally, this place, just two doors away, that we checked out earlier this year has closed down – either they have moved elsewhere or called it a day…and we did drive past this Korean place a few days earlier and my missus saw a FOR RENT sign on the wall – I guess that one too is in the same boat, so to speak. Sighhhhh!!! Things sure aren’t looking all that good these days, are they? 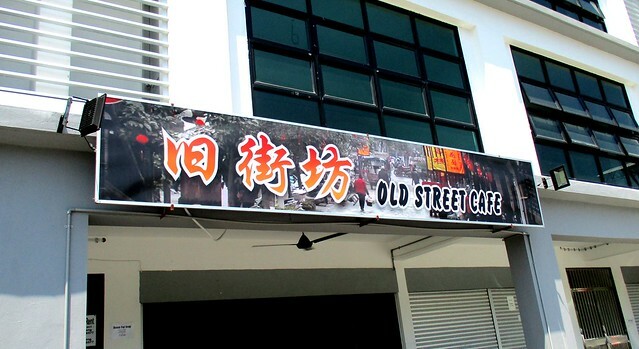 OLD STREET CAFE is located at UniCity (2.342337, 111.831781) is located along Jalan Wawasan, on your left if you are coming from Bulatan Teng Chin Hua in the vicinity of the University College of Technology, Sarawak, Kolej Laila Taib and Woodlands International School, heading towards the Batang Igan Bridge. 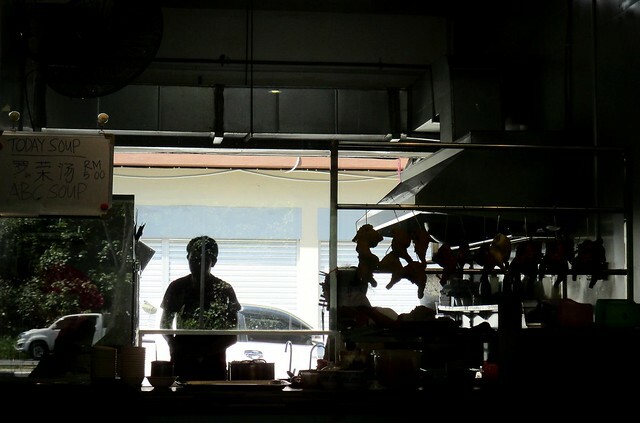 The food served at this shop looks good and price is ok too. I am not sure why the soup is called ABC soup . We also call it “lo song tong” in cantonese. Maybe it’s a Cantonese thing. 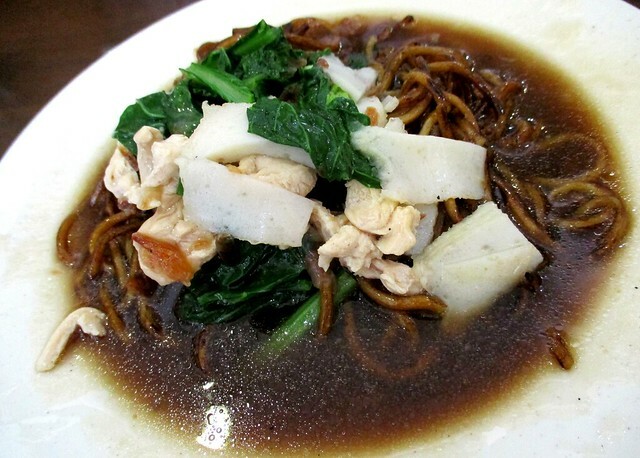 I never heard of it in my growing up years – Sibu is predominantly Foochow. We may have something similar – https://suituapui.wordpress.com/2010/03/09/baby-one-more-time-2/, just that we never called it by that name…or any name for that matter. 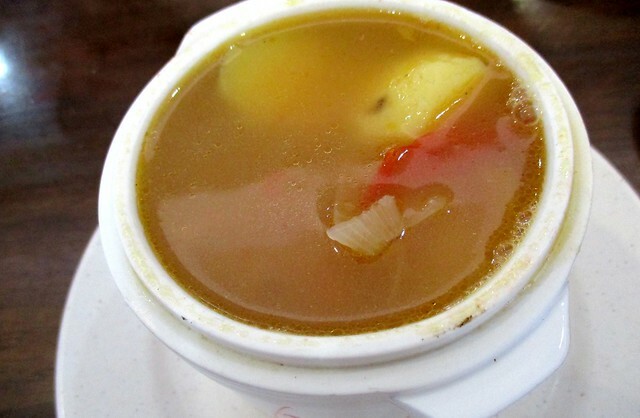 ABC soup is very popular in HK cafe in KL like Kim Gary where it is called borsch soup罗宋汤 (lo song tong). 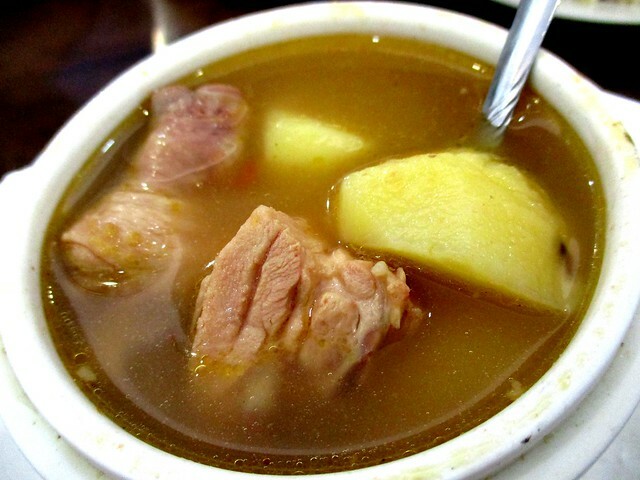 I think the must have in the soup to be ABC soup is Carrots, Potatoes, Tomatoes, Onion, Pork or Chicken meat. Sometimes they put in cabbage. Will try and cook our own one of these days, see if we can come out with something just as nice. Yes, I did see carrots in photos that I saw before, none in this one. Cabbage would certainly add to the sweetness. All the food looks good except that the ABC soups looks abit too oily, or was it due to the lighting effect. I would have the black spot of the potatoes peeled off. Yes, the eye! I had to scoop it out of the chunk of potato before eating…and no, it was not oily, maybe it was the lighting – we sat inside…or rather, my missus took a table inside, dependent on the florescent light – not ideal for great photographs. But chicken soup, if you keep on simmering for a long time, it will taste nicer – sweeter…but the oil from the skin or the fat may start floating on the surface. At home, we would take out our oil separator…but this was all right, not oily. We finished it till the last drop! 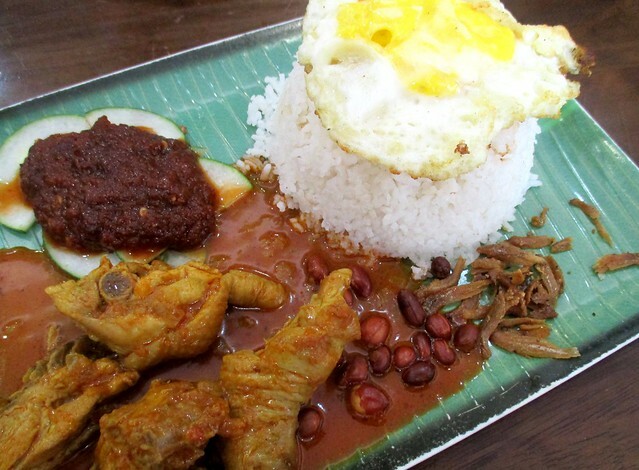 The nasi lemak makes me craving for one right now. Haha. Yes, I remember seeing carrots in those that I saw. Maybe I can try and cook it sometimes, shouldn’t be too difficult. Not hard at all. Toss everything in. You can add chicken or pork. Season with salt and pepper. I like to add a bit of sesame oil in. Everything in one soup. Veggie and meat. Will try. See as nice as theirs or nicer or not. LOL!!! Bet you have really nice ones over there. This one was good, my girl enjoyed it. I guess it is because of the chicken curry added. 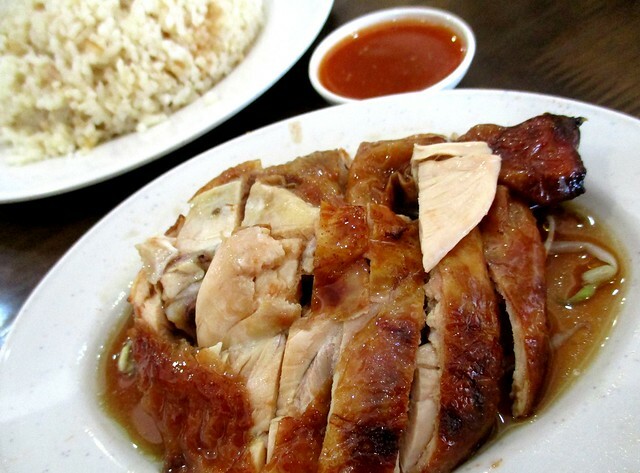 Standard price here for the “special”, may be more at some places – regular is RM4 or RM4.50. Somehow, the quest for a lemak nasi lemak is not over LOL! I have yet to find one that passes the lemak test. 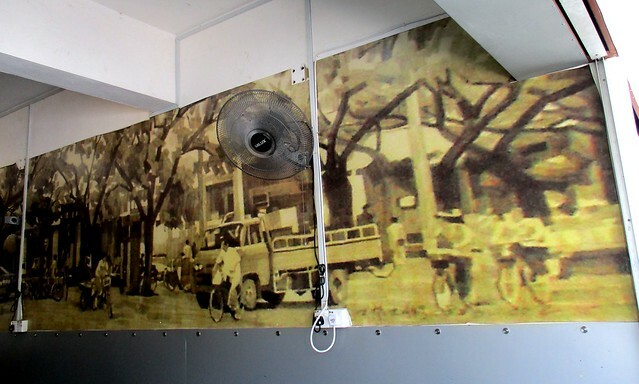 I have found one and everyone who has gone to eat agrees with me, just that it is a roadside stall, not in a coffee shop so it is not all that comfortable. I think it is called ABC soup because you can add anything from A to Z into it. I think lah, not so sure if correct or not. Haha. I could not figure the name out. Maybe it is as easy to cook as ABC, that is why. Pingback: ABC… – …STILL CRAZY AFTER ALL THESE YEARS!